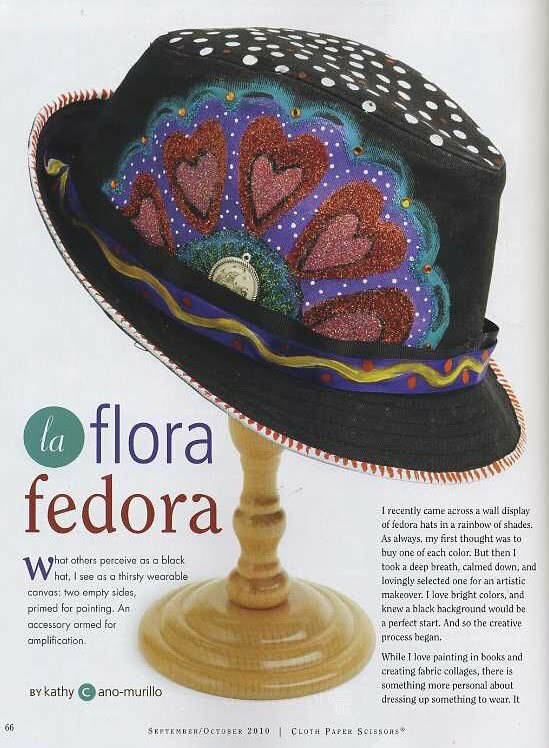 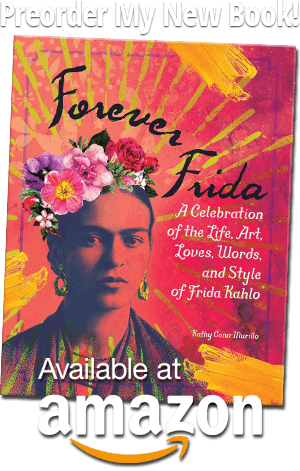 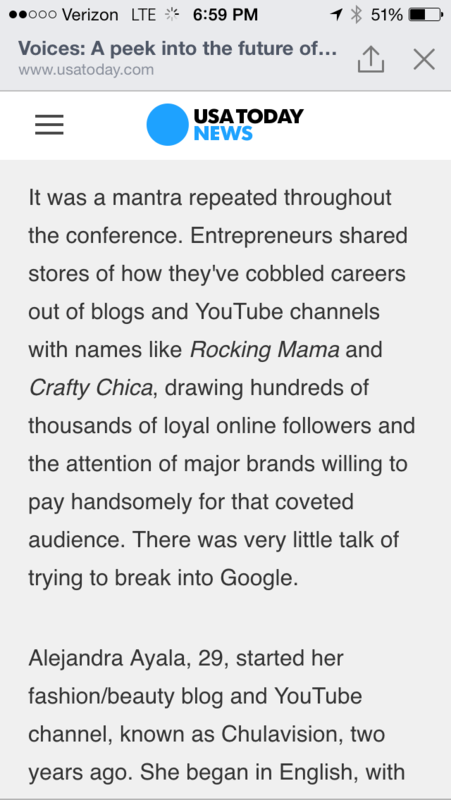 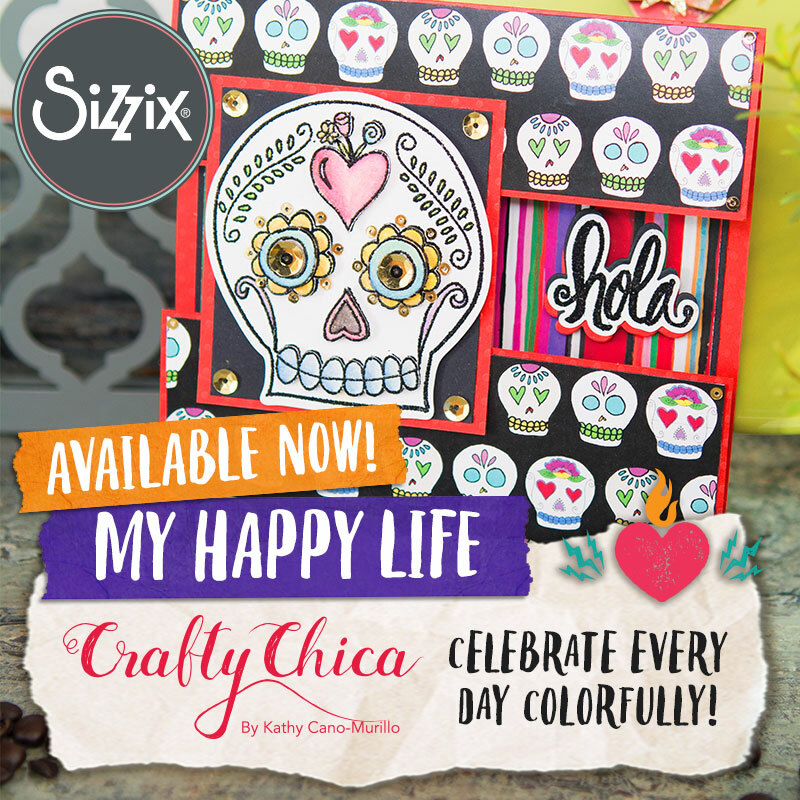 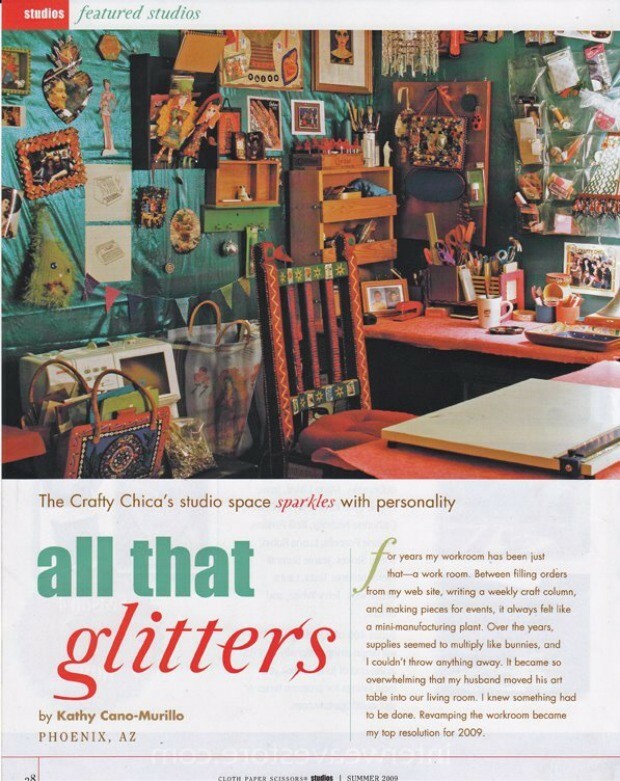 I’m always delighted to see Crafty Chica press articles online, in magazines, on TV and anywhere else. 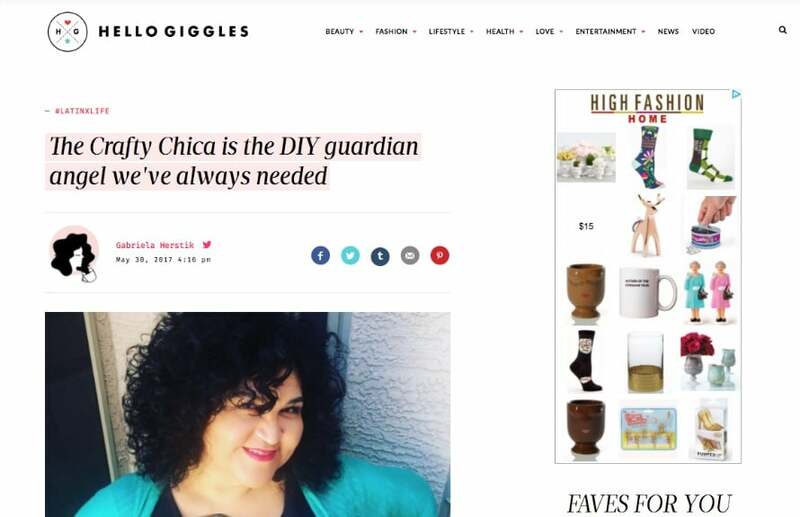 I’m so honored to be featured in the following outlets! 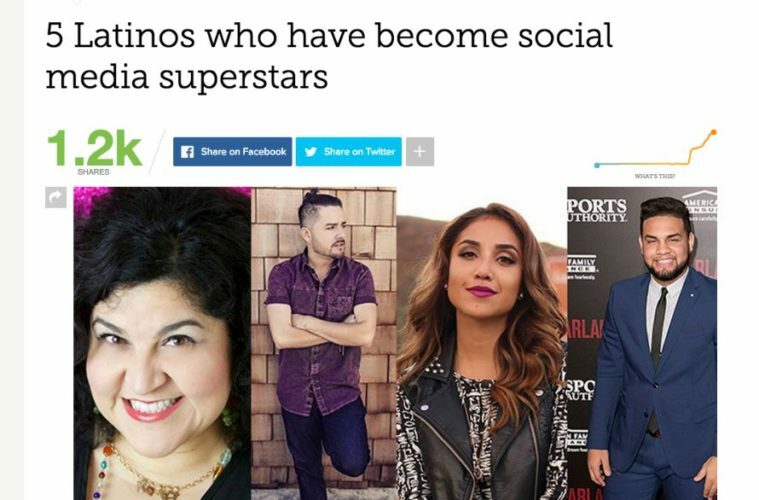 IZEA: Top 25 Hispanic Influencers, listed fourth in the article! 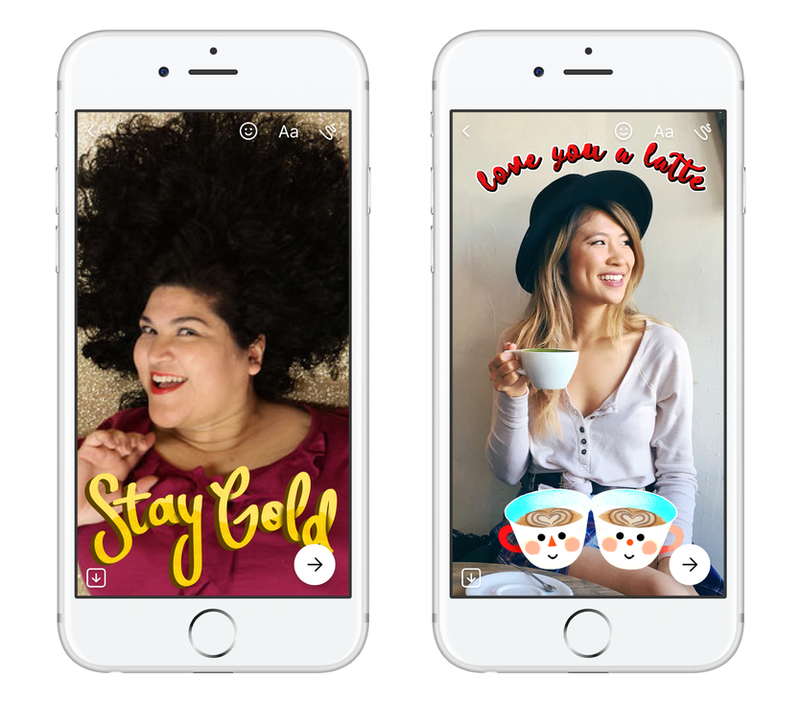 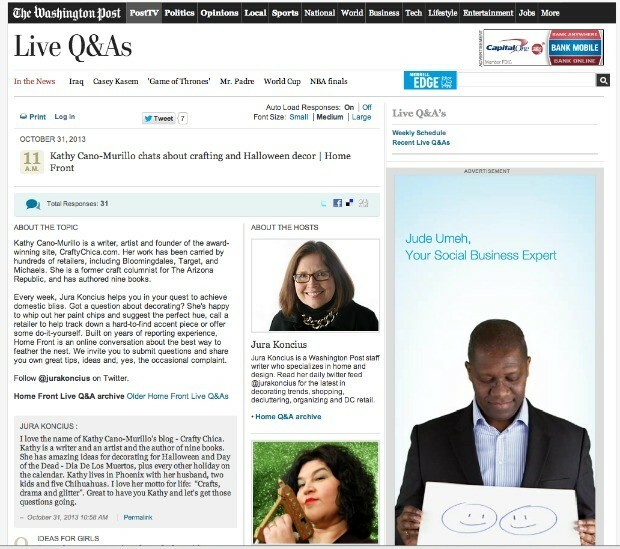 Fast Company, feature on Facebook Messenger, featuring Kathy. 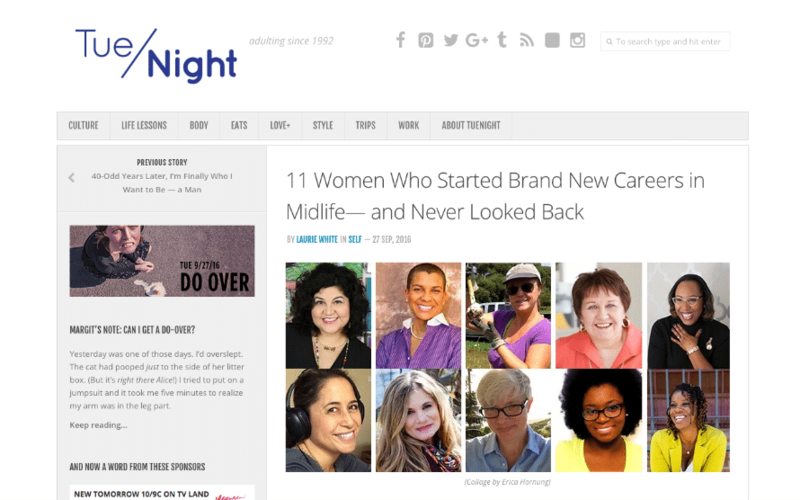 Huffington Post – 2016: 11 Pieces of Anti-Aging Wisdom From Women Around the World. 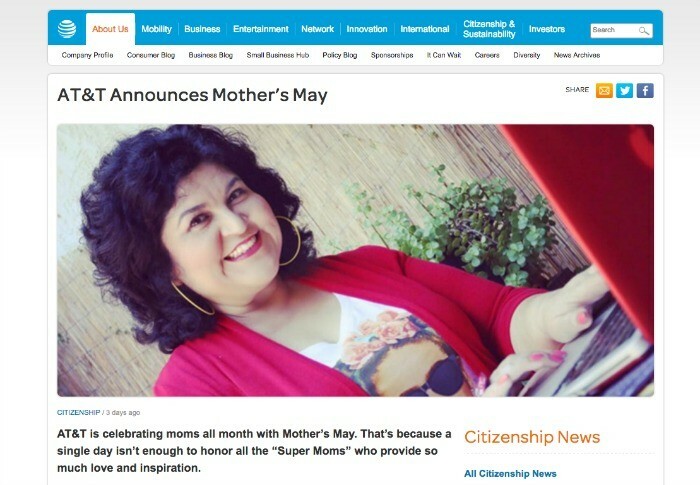 AT&T Latino, feature on super moms in tech! 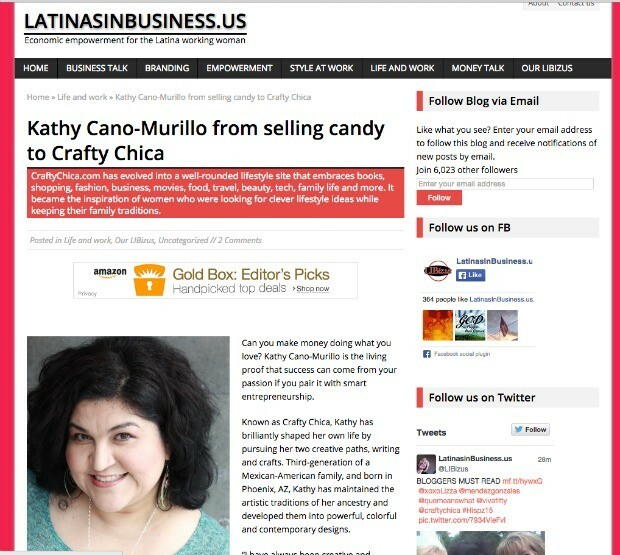 Cox Business Latina Entrepreneur of Year, 2014! 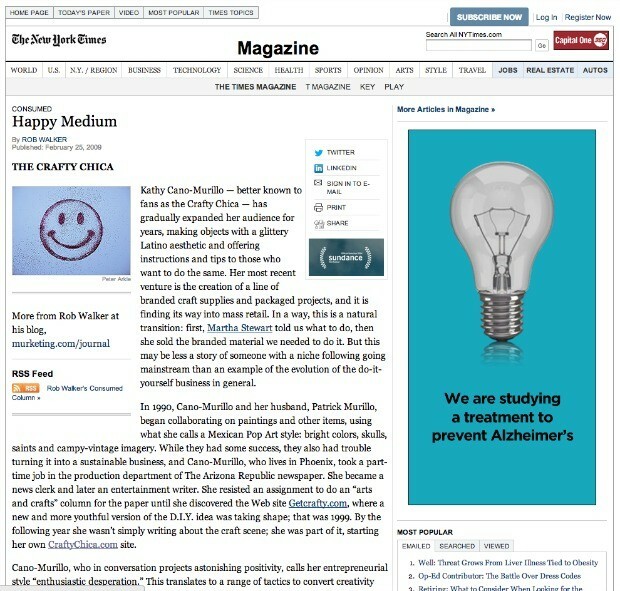 Crafty Chica feature article in the New York Times! 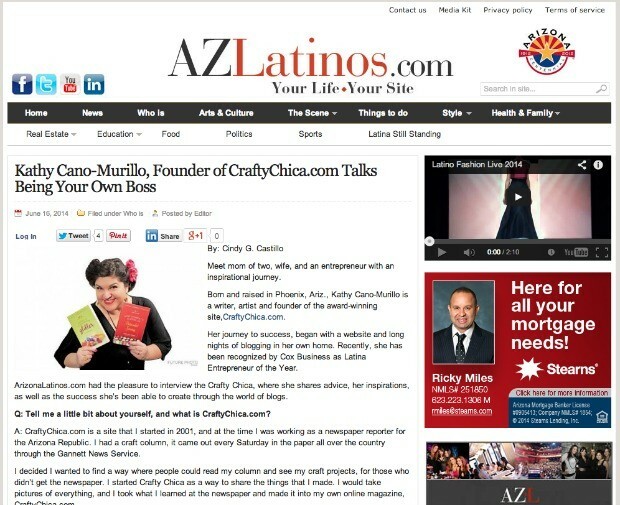 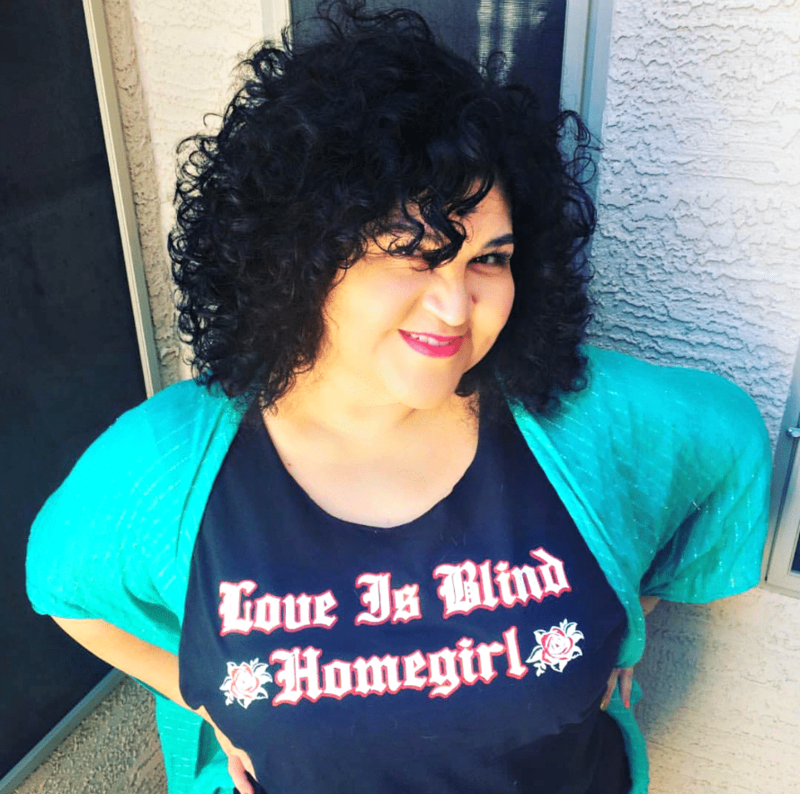 Top AZ social media moms – Arizona Republic!